One of the reasons parents use cloth diapers is to reduce their babies exposure to toxins that are found in disposable diapers. Even though parents know the health benefits to using cloth diapers many parents admit to struggle with finding a system that works well overnight and end up using disposables at night. Why is nighttime such a struggle? Babies are often nursed (or fed a bottle of milk) before they fall asleep leaving them with very full bellies. If you are fortunate to have a baby who sleeps through the night they can sleep for as many as 7-10 hours at a time. Since cloth diapers don’t contain absorbent crystals like disposable diaper they can only hold so much liquid. Most parents find that 2-4 hours is about the longest a cloth diaper can last before it becomes too full and starts to leak. While a pocket diaper with 2 microfiber inserts can work successfully for some babies overnight – others soak right through that and leak all over their beds making for a very fussy baby and frustrated parent. With a little patience and some experimenting you CAN find a nighttime solution that works for your baby. Double (or triple) stuff – add extra absorbency for nights. Your baby may have an extra fluffy bum but the added inserts will help absorb pee for longer periods of time. Hemp or bamboo inserts – both hemp and bamboo are thinner and more absorbent than microfiber. Since microfiber absorbs quicker most parents place one microfiber insert backed with a hemp or bamboo insert inside their pocket diapers. Tummy sleepers – make sure you adjust the placement of your inserts so that the most layers are in the front where most of the pee will settle while they sleep. Fitteds – a fitted diaper is absorbent all around the diaper (not just in the middle where the inserts normally lay) which allow them to collect more pee than a pocket diaper. They are absorbent in the front, side, back, and even in the tabs. 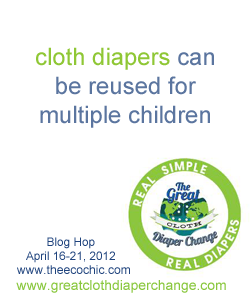 You can also add a doubler or insert for even more absorbency. Kim with DDL created a great video demonstration on how fitteds work. A fitted diaper always requires a diaper cover. Wool or fleece covers (shorties or longies) – when properly lanolized wool can be a great option for overnight because they become bulletproof and extremely waterproof! Pair them with a fitted diaper and you have a winning nighttime solution. Wool is also very breathable making it an appealing option for babies with sensitive skin. Fleece works very similar to wool but does not need to be lanolized. I found that fleece pajama pants over a pocket diaper help to keep the bed dry if my tot ever had a night leak. With a little experimenting you’ll find a nighttime cloth diaper solution that works for your baby. 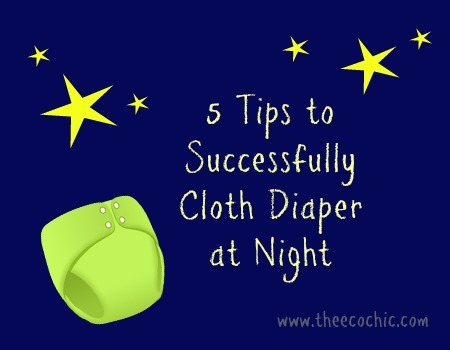 For additional tips the RDA has a tip sheet for nighttime diapering. Real Diaper Week continues tomorrow with the Great Cloth Diaper Change!! 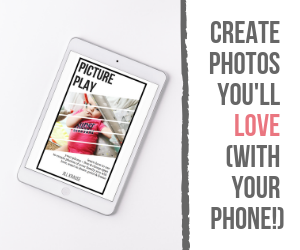 Until then visit these other fabulous bloggers in the community as they share posts about nighttime diapering, traveling with cloth diapers, and reuse tips. If you are in the Tampa Bay are I hope to see you at the GCDC Tampa Bay tomorrow with our special guest, Jennifer Labit – owner of Cotton Babies and bumGenius! Well said! We have used all these techniques to come up with what works for us. Our daughter has the fluffiest bum at bedtime but at least i don’t have to change the sheets every night! I was so afraid to try wool but now that i have i am so glad i did. No more throwing a cover in the wash every morning has really helped cut down on what i need in my stash. My wool cover is good to go every night! I really gotta get hubs to change her into a cloth at night! Thanks for these helpful tips! We have been wanting to break away from nighttime disposable diapers to get our heavy wetter through the night but had no idea where to begin. Can’t wait to be 100% cloth diapering! Irina Johnson recently posted..Your first blog post!